Remember that today is about more than BBQ’s and pool parties. 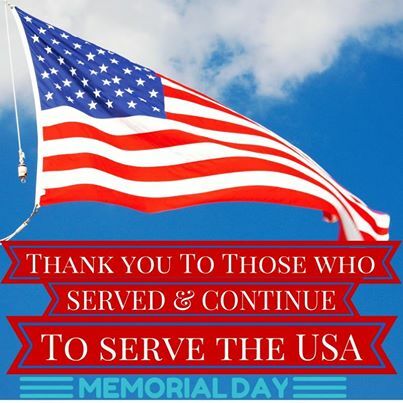 Today is a day to remember and thank all of those who have served and continue to serve the United States of America. I am grateful everyday to live in the land of the free and the home of the brave. So, if you know someone that served or is currently serving to provide you with all of the freedom we sometimes take for granted – remember, a thank you goes a long way! Enjoy the rest of this holiday and be safe out there while celebrating our freedom in the USA.